FLAGSTAFF, Ariz. (AP) — Four Native Americans who claimed they were sexually abused while enrolled in a now-defunct foster program run by The Church of Jesus Christ of Latter-day Saints decades ago filed paperwork to dismiss their cases after reaching financial settlements, a lawyer said. Allegations have been made against the church by more than a dozen tribal members from the Navajo Nation and Crow Tribe of Montana. Four cases recently were settled, three were settled last year and others reached agreements out of court. One case remains in Washington state. The terms of the latest agreements are confidential and include no admission of wrongdoing, said Craig Vernon, an attorney who represented the tribal members. The cases were filed in Window Rock District Court on the Navajo Nation. Vernon said he believed his clients would have prevailed in tribal courts, but federal courts were risky. He said his clients had mixed feelings about settling. 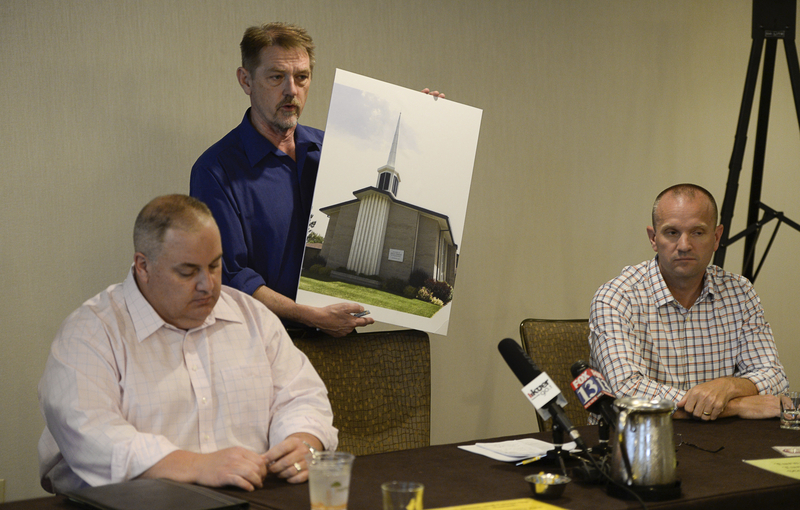 The lawsuits sought monetary damages, written apologies and a guarantee that Mormon leaders would report suspected abuse. Vernon said his clients did not receive an apology and church policies remain unchanged. Eric Hawkins, a spokesman for church, declined comment. He said the settlement agreement prohibits any discussion about the terms. The first of the lawsuits was filed by two Navajo siblings in 2016 in tribal court. The lawsuits alleged tribal members were sexually abused between the 1960s and early 1980s in the Indian Student Placement Program, which put thousands of Native American children in Mormon foster homes in Utah, Idaho and New Mexico. The voluntary program, aimed at giving children educational opportunities they didn’t have on the reservation, started in the late 1940s and ended around 2000. The people accused of abuse were associated with host families, not church leaders. A federal judge in Utah previously denied a request from church lawyers who wanted the cases to be tried in Salt Lake City because the allegations did not involve any abuse on tribal land. A tribal judge said the Navajo court has jurisdiction because the program was based on the reservation that extends into Utah, Arizona and New Mexico. The children participated in the program at a time when the church believed it had a duty to restore the heritage of American Indians who were referred to as Lamanites, or the wicked of two civilizations that emerged when God guided families to the Americas, Matthew Bowman, author of the 2012 book, “The Mormon People: The Making of an American Faith,” has said. The church changed the introduction to the Book of Mormon a few years ago to say that Lamanites are among the ancestors of American Indians, he said. Written by FELICIA FONSECA, Associated Press. Associated Press reporter Brady McCombs in Salt Lake City contributed to this report.